Behavior control of complex technical systems, such as robots, is a challenging problem. In this context, embodied neuro-control is a bio-inspired method for handling this type of problems, and evolutionary robotics has taken up some essential research topics in this field. However, for systems with many multi-modal sensor inputs and actuating outputs, new evolutionary methods have to be applied because the search spaces are high-dimensional and comprise many local optima. This becomes even harder when functional recurrent network structures cannot be given in advance and have to be evolved together with other parameters like synaptic weights and bias terms. 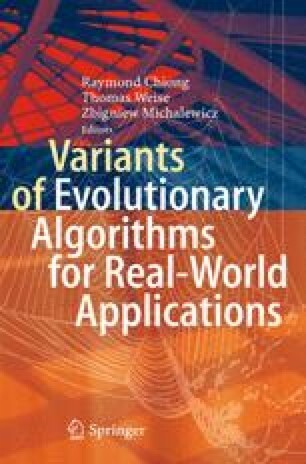 This chapter describes a new evolutionary method, called Interactively Constrained Neuro − Evolution (ICONE), which restricts large search spaces by utilizing not only domain knowledge and user experience but also by applying constraints to the networks. The interactive use of this tool enables the experimenter to bias the solution space towards desired control approaches. The application of the ICONE method is demonstrated by evolving a walking behavior for a physical humanoid robot, for which a whole library of behaviors has been developed.